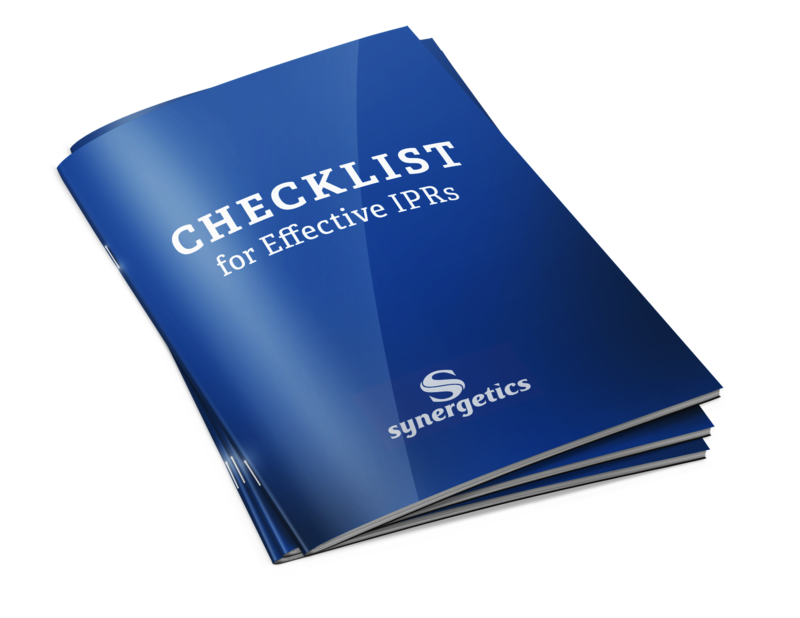 Your required IPR is an opportunity to give your customer all three. "This is the best-prepared IPR I've ever seen." " I want to go to Synergetics' IPR - I know I'm going to see new stuff and want to know what they say."